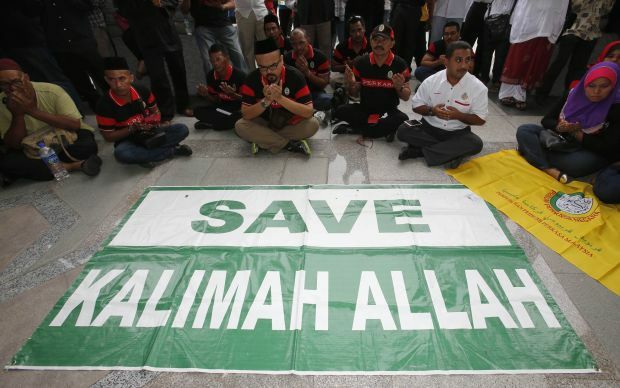 KUALA LUMPUR, Malaysia (CNS) — A Malaysian court said a Catholic newspaper may not use the word “Allah” to refer to God in its Malay-language edition. Jesuit Father Lawrence Andrew, editor of the Herald, a Kuala Lumpur-based Catholic weekly, expressed disappointment in the ruling. Kuala Lumpur Archbishop Murphy Pakiam, the paper’s publisher, said the church would appeal the ruling. In late 2009, the High Court in Kuala Lumpur ruled that the Herald could use “Allah” to refer to God and that the Home Ministry’s order banning certain uses of the word was illegal. The court also said the word “Allah” is not exclusive to Islam. The Oct. 14 Court of Appeals ruling overturned the lower court. Catholic and other Christian leaders have argued that “Allah” is the Malay word for God; thus, the Herald uses it in its Malay edition. Archbishop Pakiam told Fides, the Vatican’s missionary news agency, that the ruling would not affect church services or Bible readings in the Malay language. Some Muslims claim Christians using “Allah” could be used to convert Muslims to Christianity. The majority of Malaysia’s 29 million people are Muslim.